Manchester United scraped past West Ham United at Old Trafford thanks to Paul Pogba and some suspect officiating. The Hammers will leave Old Trafford with their heads held high, but must be wondering how they did not earn at least a point. Paul Pogba tucked home two penalties for the hosts, but the game was shrouded in controversy. The first penalty appeared to be soft, the visitors had a ‘goal’ ruled out for offside and then there was a possible rec card not given to Paul Pogba. However, the Red Devils hung on and claimed all three points to keep the pressure on their Top Four rivals before Chelsea travel to Liverpool on Sunday. United were looking slightly off the pace in the early stages and were given a let-off when Felipe Anderson rifled high past David De Gea, only to be flagged narrowly offside. Replays showed Diogo Dalot was playing the Brazilian onside when he latched onto former United striker Javier Hernandez’s header. United slowly warmed to the task and were awarded a penalty after Robert Snodgrass scythed into Mata just inside the area – replays showing that too was a controversial call. 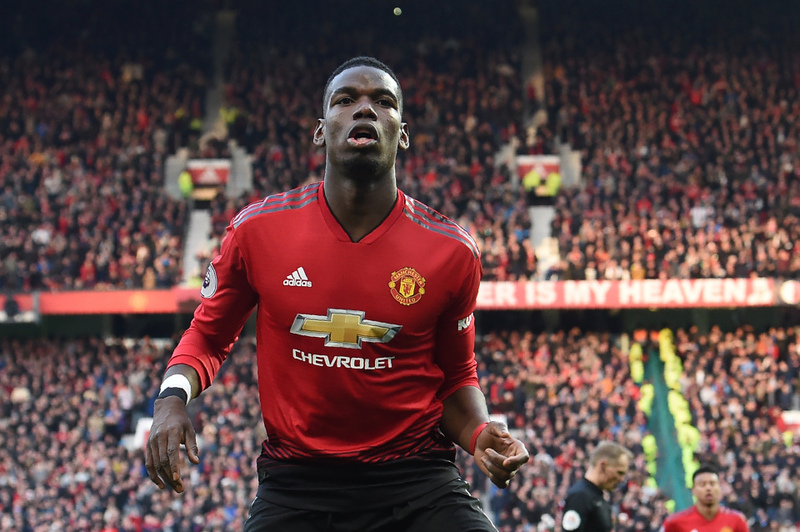 Paul Pogba eschewed his usual stuttered run-up routine, instead taking a more conventional approach and slamming past Lukasz Fabianski in the 19th minute. However, fans thought the World Cup winner should have seen red for a high challenge on Snodgrass. As the second half began, West Ham began to look more dangerous thanks to the growing influence of Manuel Lanzini on the left hand side. And the Argentine put in a delightful cross for Felipe Anderson at the back post to grab his tenth of the season. Sensing the game slipping away from his side, Ole Gunnar Solskjaer sent on Marcus Rashford and the England international forced a smart save from Fabianksi. The game became fantastic viewing for the neutral as the pendulum swung from end-to-end, with the introduction of Michail Antonio seemingly putting West Ham in control. The forward made an instant impact, hitting the bar with a left-footed drive before forcing David De Gea into a spectacular save. Two minutes later, it was heartache for the Hammers as Anthony Martial raced through only to be bought down by Ryan Fredericks. As with the first spot-kick, Pogba stepped up and dispatched his second of the game hard to the keepers right. Yet again, the England international was superb for the Hammers at the heart of their midfield. Strong in the tackle and good on the ball, he comfortably dominated Pogba and Fred all game and seemed to be everywhere. Manuel Pellegrini will know that, with performances against higher-opposition like this, Rice’s value will continue to skyrocket for interested parties.